Berg en Dal Rest Camp, Kruger National Park, South Africa. Berg en Dal is a delightful rest camp in the Kruger National Park of South Africa, radiating a sense of peace and tranquillity, enveloping you with a warm feeling of hospitality. Medium sized, it is one of the newer rest camps in the Kruger National Park. Opened in 1984, it is situated on the banks of the Matjulu dam, with a delightful view of softly undulating hills to the west. The camp is not far from the Malelane gate lying amidst the Khandiswe mountains. 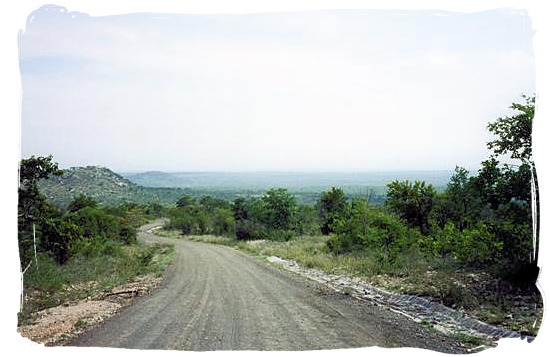 At 840m Khandiswe is the highest peak in the Kruger National Park. Dry river beds form the borders on the northern and southern perimeters. When the camp was opened in 1984, the existing vegetation was very well preserved, one of the reasons why the camp blends beautifully into its natural surroundings. It is one of a few areas where you have a chance of seeing the small Klipspringer antelope. The White Rhino, Leopard and Wild Dog are frequently seen in the region and if you are lucky you can even see them drinking at the dam in front of the camp. Bird lovers will discover a wealth of bird species in the hilly landscape around the camp, such as the Scarlet-chested Sunbird and Heuglin's Robin, which are particularly prominent. 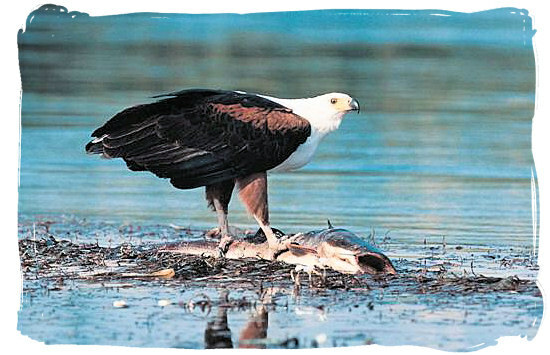 The African Fish Eagle with its distinctive call is often seen around the Matjulu dam which attracts a constant population of water birds. It's no wonder that Bird watchers find the appeal of this lovely camp irresistible. 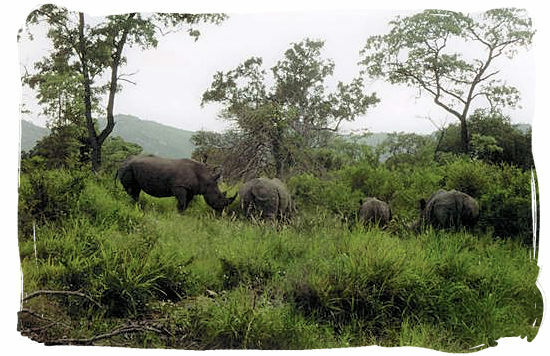 Go to SANParks.org to view a map of the Kruger National park showing the location of the camp, then click on the map to enlarge. Go to SANParks.org to view a map of the camp showing the lay out of the camp itself, then click on the map to enlarge. To end the day with a "braai" (barbecue) dinner accompanied by ice cold drinks is a very popular tradition in the Kruger National Park. However in this restcamp as in all the main rest camps, visitors who prefer something different can make use of the restaurant and cafeteria with a view across the Matjulu dam. 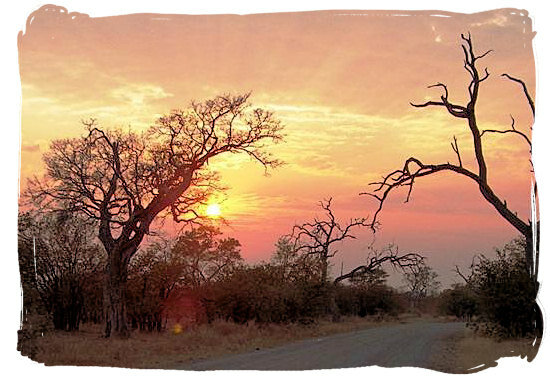 Berg en Dal is a relatively young camp compared to the others in the Kruger National Park. 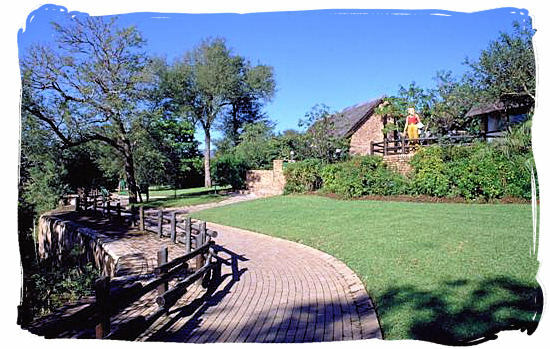 It was the first camp to break away from the Park’s traditional round and thatched bungalow design called a Rondavel. 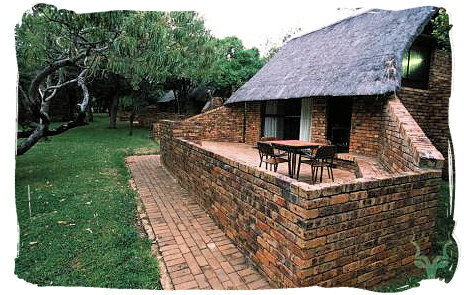 The bungalows and cottages at the camp are square, thatched and built with a rustic looking face brick. They were designed and positioned in such a way that none of them face onto each other and each veranda has its own view. 72 x tent or caravan sites, with power point. Communal ablutions and cooking facilities. (24-hour boiling water, electric hotplates and washing up facilities) Maximum of 6 persons per site. 69 x 3-bed units, equipped with en-suite bathrooms (showers, no baths) and air-conditioning. Kitchenettes have hotplates and sinks and you have a choice of with or without perimeter view. Please confirm when booking. 23 x 6 bed units, (two of which are accessible to wheelchairs) with 2 rooms (1 double bed, 2 single beds and 2 bunk beds in lounge) with separate shower, toilet and bath. Units equipped with open plan kitchen/dining room/lounge and bedrooms are air-conditioned. These are large luxury units in prime positions in the camp. There are well-equipped kitchens (with microwave ovens), multiple bedrooms and bathrooms. Fully air-conditioned. Limited channel DSTV televisions are provided. The 92 bungalows and cottages are all self-contained with fridge, crockery and cutlery and are air-conditioned. The camp offers quite a variety of activities ranging from a unique experience where guests are taken on an evening drive to a venue in the bush where they are treated to a traditional bush "braai" (barbecue) under the blazing stars of the African sky, to wildlife film shows in the evening in an area specially designed for this purpose. These activities will ensure an exciting bush experience. The closest airport to the camp is Kruger Mpumalanga International Airport (KMIA) that is situated between Nelspruit and White River. 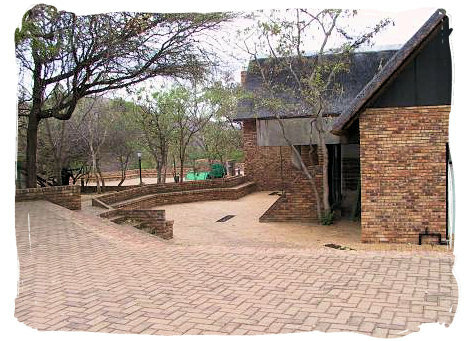 KMIA is situated approximately 25 km from Nelspruit and about 70km from Malelane Gate. There are daily scheduled flights between Kruger Mpumalanga International Airport and OR Tambo International Airport at Johannesburg, with less frequent flights from Cape Town and Durban International Airports respectively. Take the N4 to Nelspruit and head through Nelspruit to Malelane. 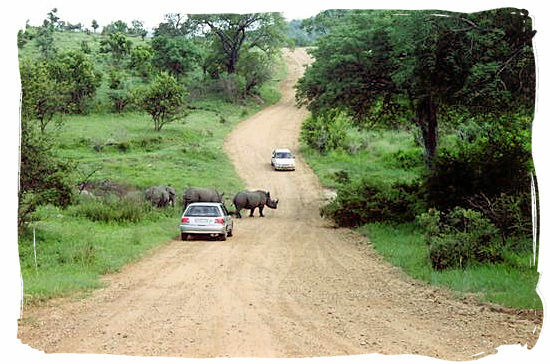 Then turn left at the Kruger National Park sign just outside Malelane and head to gate. 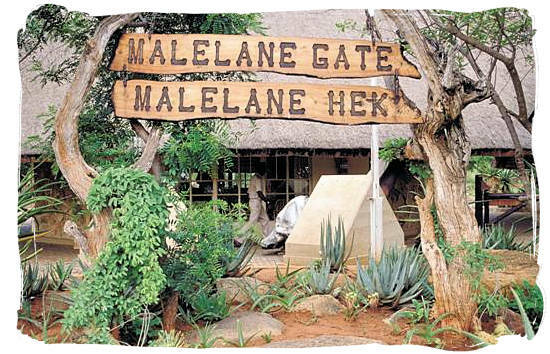 Travelling from Johannesburg or Pretoria, allow between 4 to 5 hours for the trip to Malelane gate. Berg en Dal camp is 12km away from the gate. 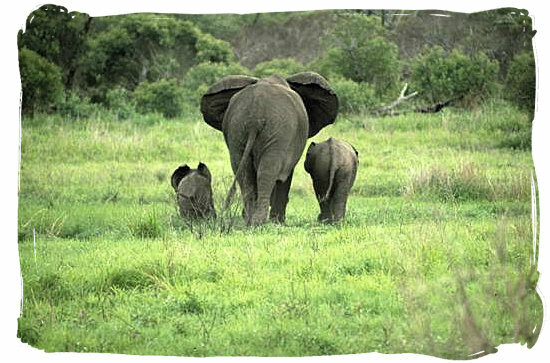 Allow about a further 30 minutes for the drive to the camp, however if you want to enjoy the game viewing possibilities give yourself more time. Go to SANParks.org to book your reservation for the Berg en Dal camp in the Kruger National Park on the official reservations page of the South African National Parks organization's (SANparks) website. Go to SANParks.org to view he tariffs applicable for the Berg en Dal rest camp on the official tariff page of the South African National Parks (SANparks) website.